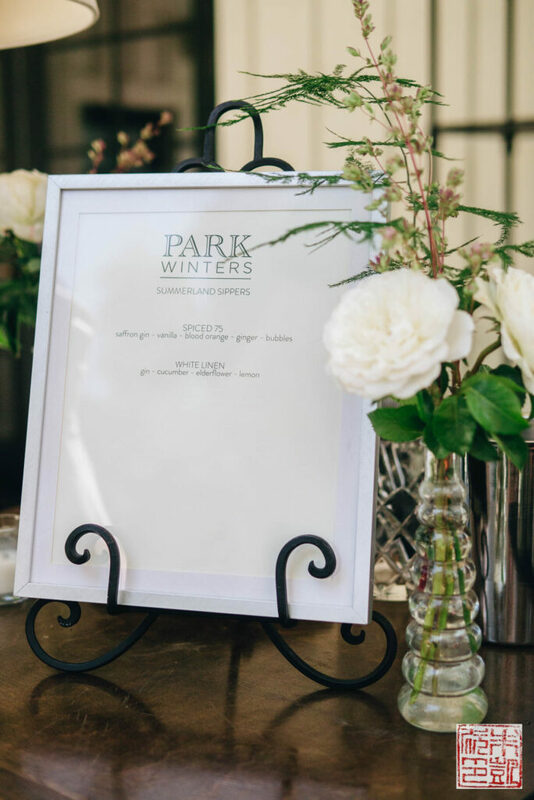 Park Winters perfectly captures the ideal of simple country luxury. 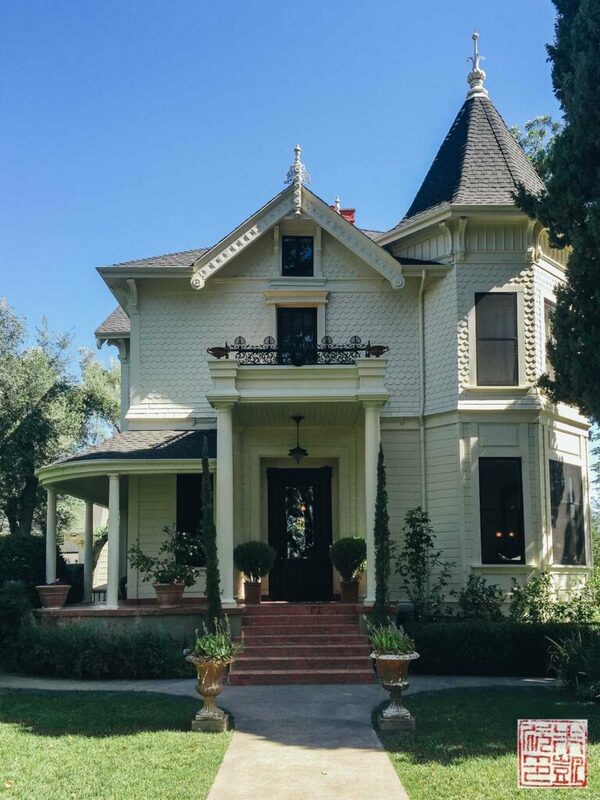 This magical bed and breakfast and estate is a hidden paradise in the farmlands of Winters, California. 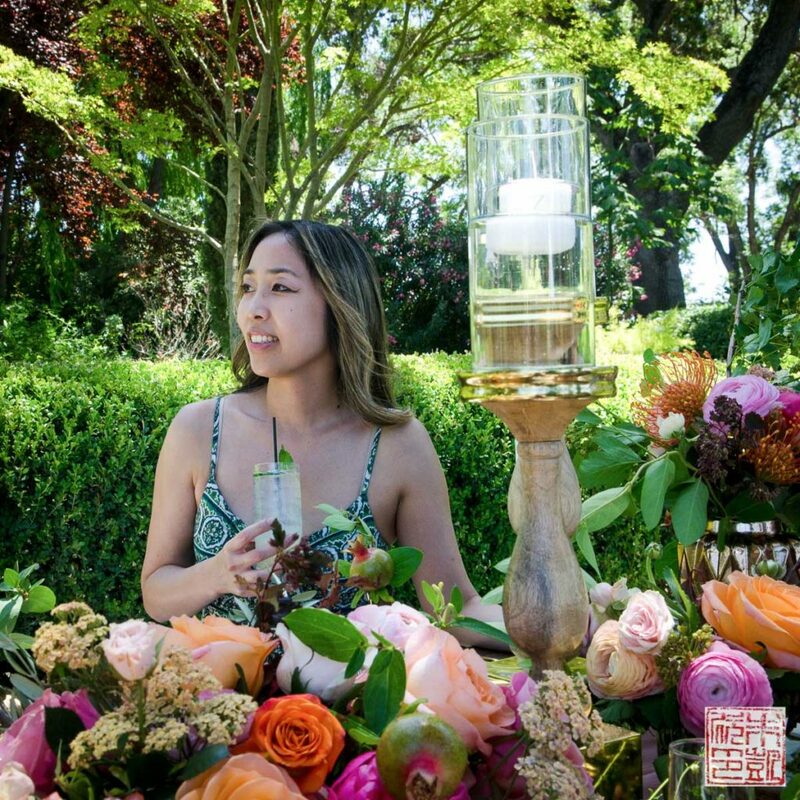 A few weeks ago I was invited to experience the myriad pleasures of Park Winters at their first ever Park Winters Summerland private event. 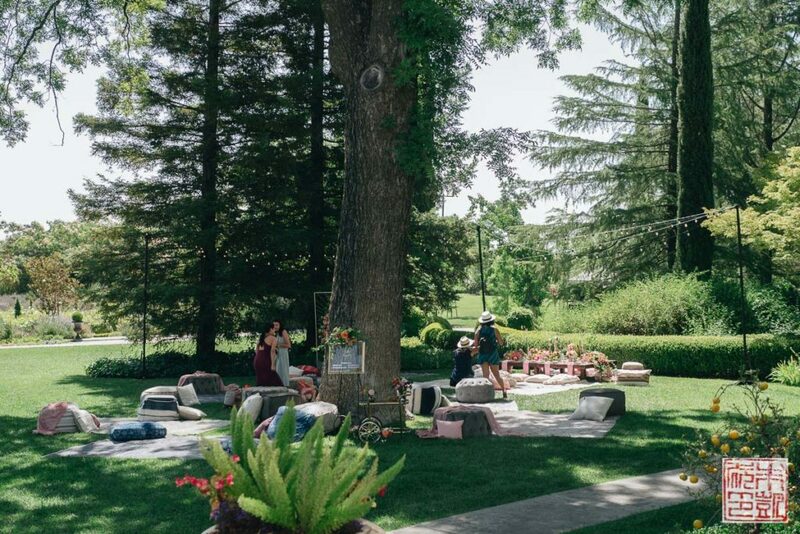 As it turns out, Summerland was the perfect name for this dreamy day. Park Winters is the dream realized of owners Rafael Galiano and John Martin. 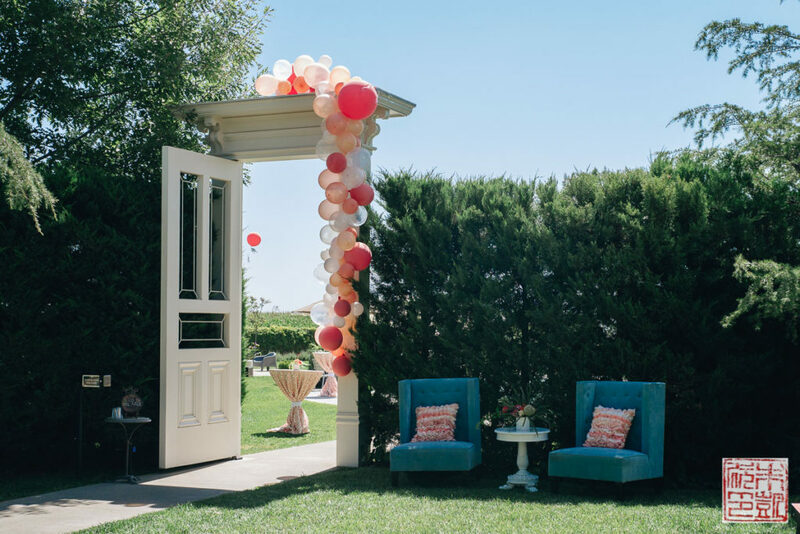 A few years ago, the pair took the historic Victorian house and the property it sat on, and turned it into a beautifully imagined hotel and event venue. 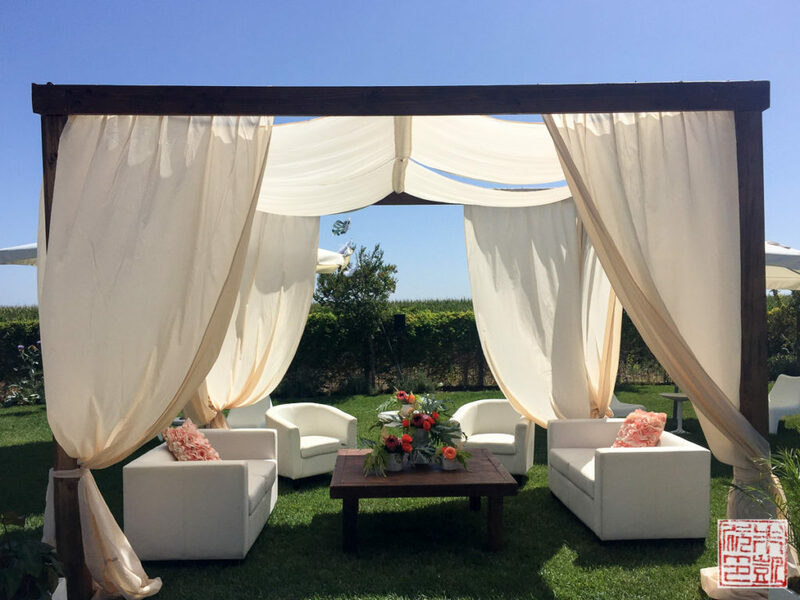 The space is now highly sought after for weddings, special events, and by guests just looking for a little getaway in the scenic hills of northern California. 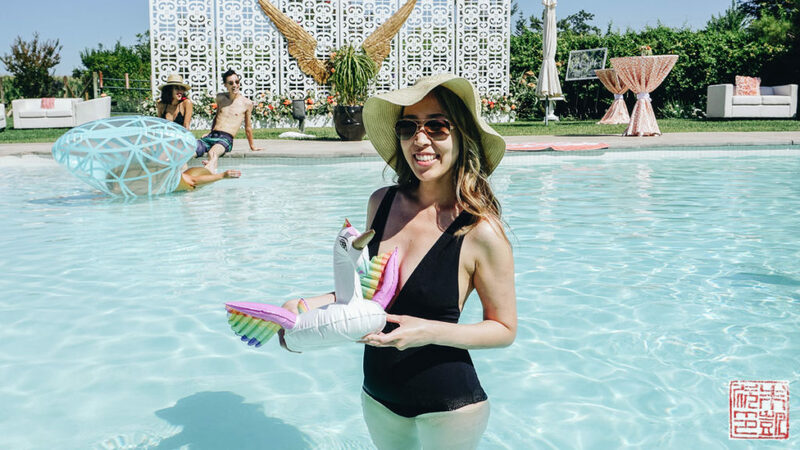 At Summerland, several influencers and I got a unique chance to experience the magic of Park Winters that has enraptured so many visitors. 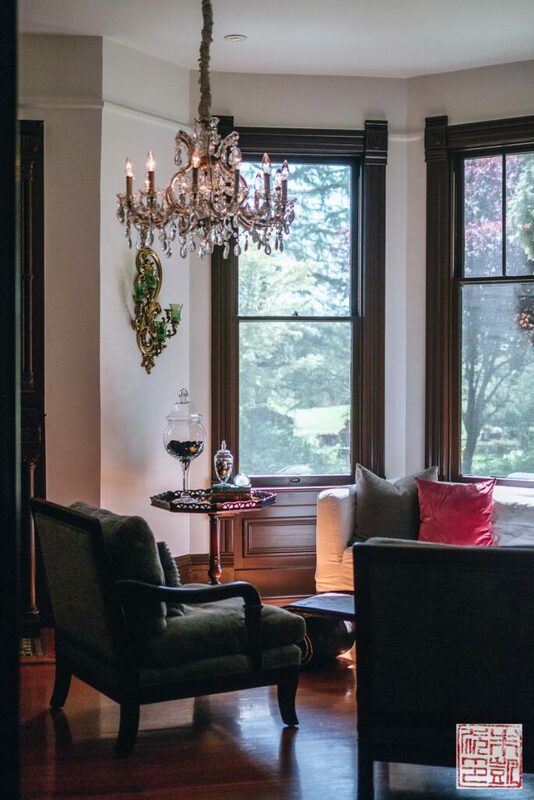 When you enter the property, the first sight is the beautiful restored 1865 Victorian house with four guest suites. The original owner of the house was George Washington Scott, one of the first American settlers of the Winters area. Welcome mimosas – don’t mind if we do. One of the many little thoughtful touches throughout the day. Inside the main house, the guest suites are upstairs, while the lower level has been redone to showcase Rafael and John’s impeccable aesthetic. 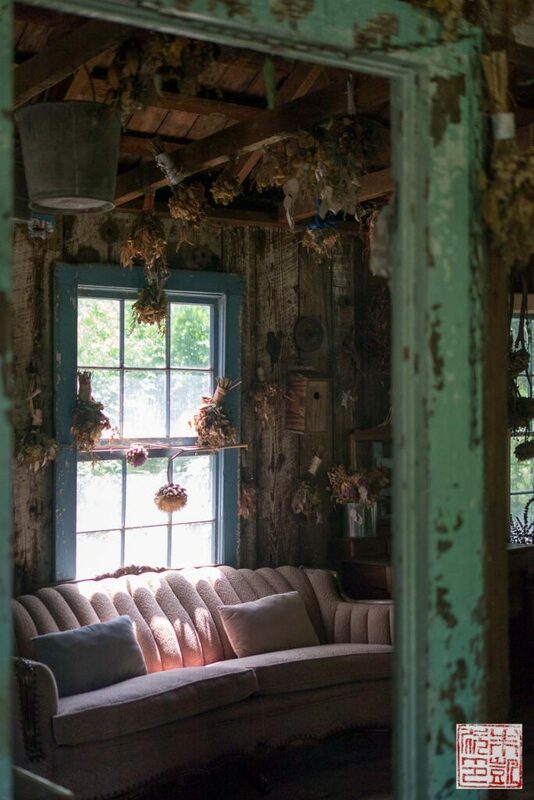 I love the front parlor with a view out to the garden. 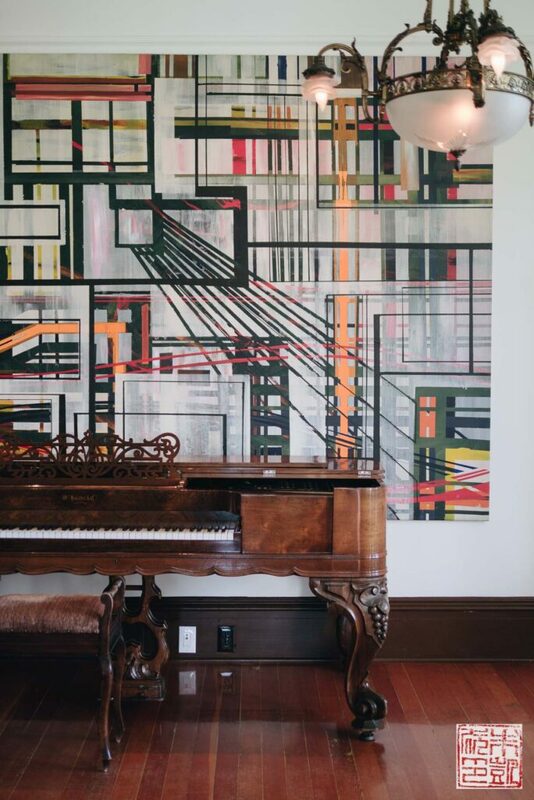 This antique piano and painting behind are equally stunning. 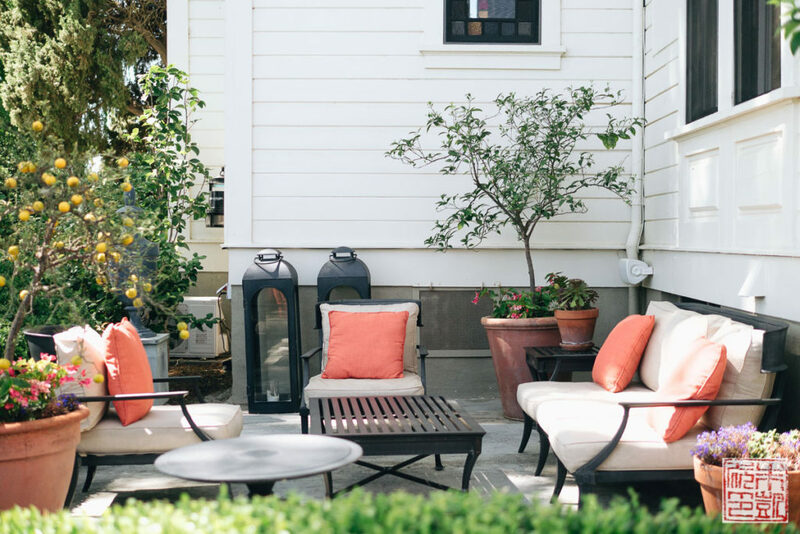 The home is a lovely place to relax and get a respite from the afternoon sun. Once you step outside the inn, you’ll discover the expansive, exquisitely kept grounds. 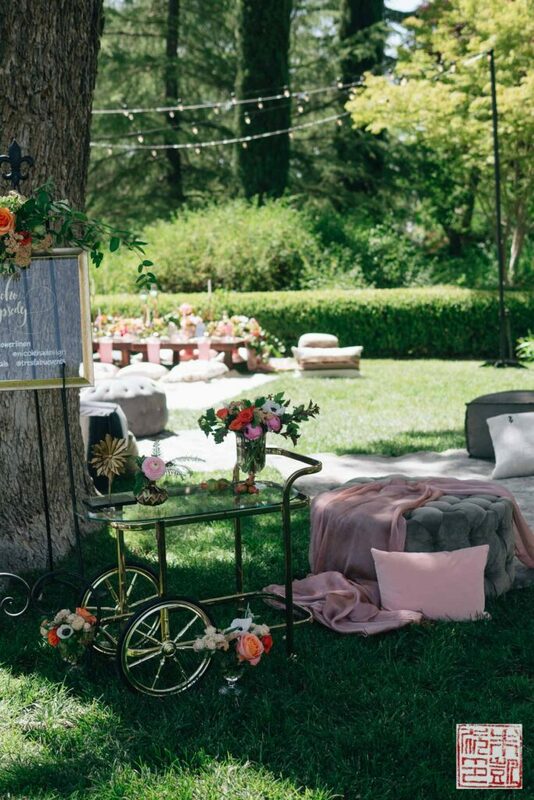 The day of Summerland, Park Winters had set up several lovely vignettes outside that made it seem like you were walking into a secret fairyland. 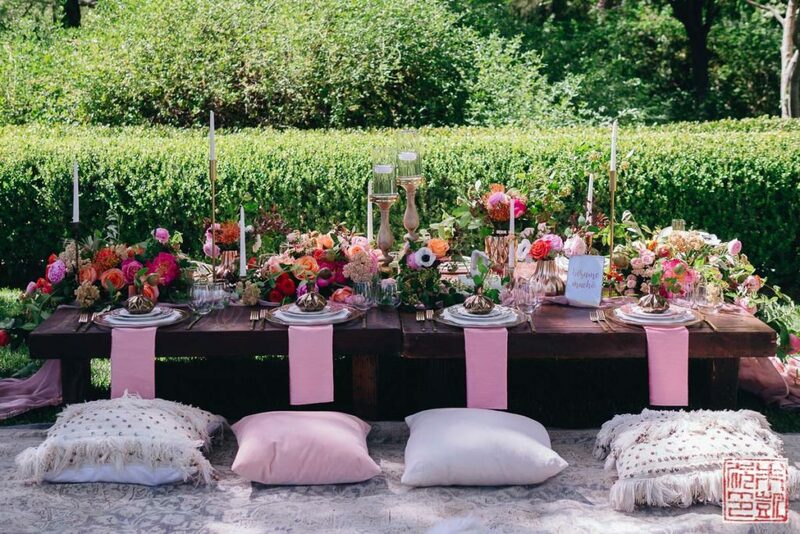 I loved this amazing tablescape of lush florals, porcelain place settings, and plush pillows. 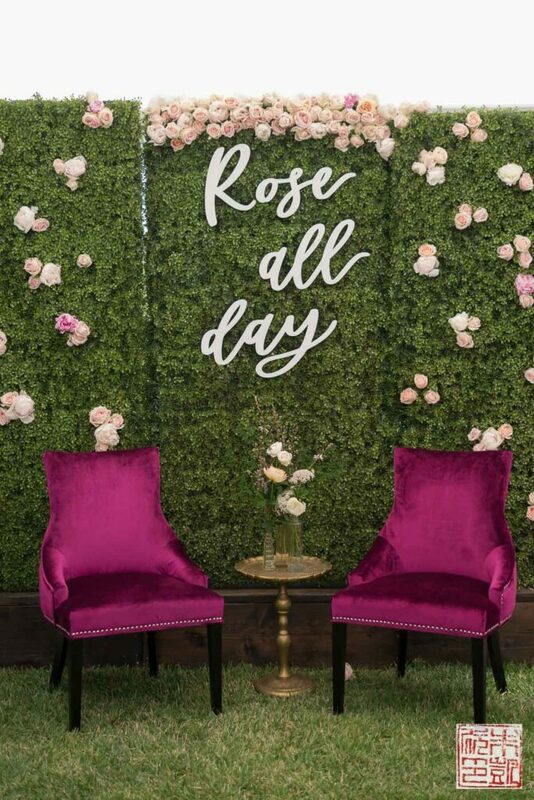 This was created by Tre Fabu Events. In love with these plates and this bud vase. 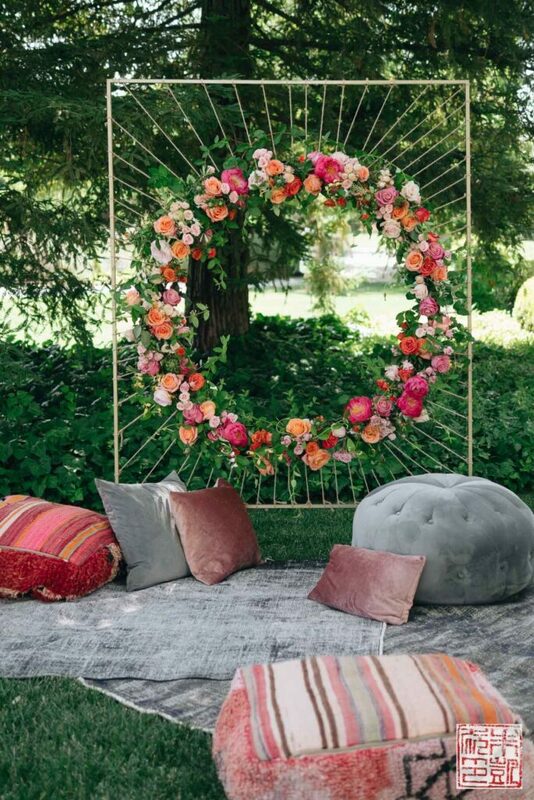 This dreamcatcher made of blooms might be the prettiest backdrop I’ve seen. Everywhere there are cozy corners for relaxing, all perfectly arranged like a magazine set piece. It’s photographer heaven here, for sure. 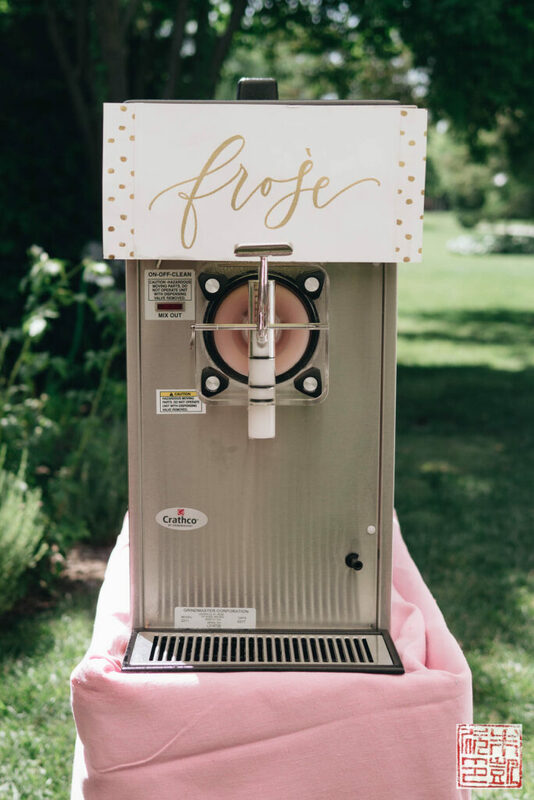 I completely fell in love with this frosé machine Park Winters brought in for Summerland, and I think everyone else there did as well. It was definitely one of the most popular locations of the day. Good advice I’ll always follow. I was enchanted by this utterly whimsical entrance to the pool. I love all the thought and creativity that went into this place. 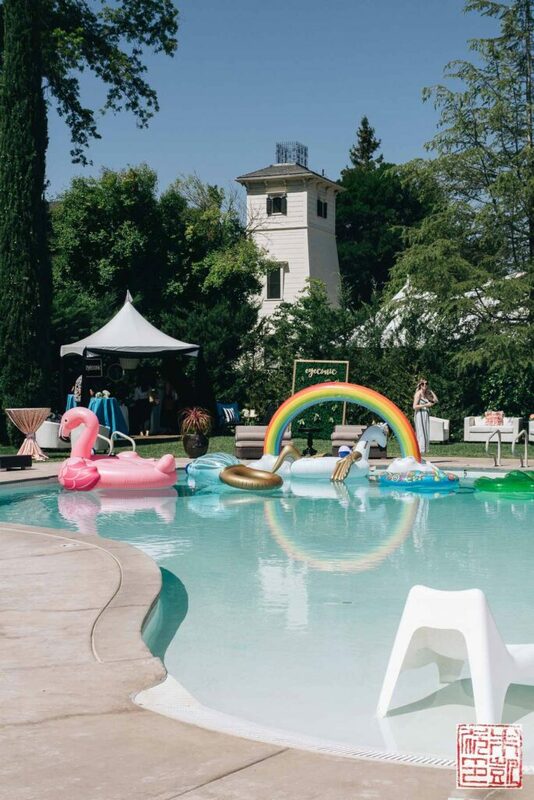 And here’s the saltwater pool and spa, all gussied up for Summerland with a bunch of colorful pool floaties. You can find me here all day long, hanging out by the pool in this cabana. Or in the pool itself. If you’re not staying at Park Winters, you can get a day pass to the pool. Highly worth it in my opinion as you also get non-alcoholic drinks, towels, and you can explore the gorgeous grounds as well. 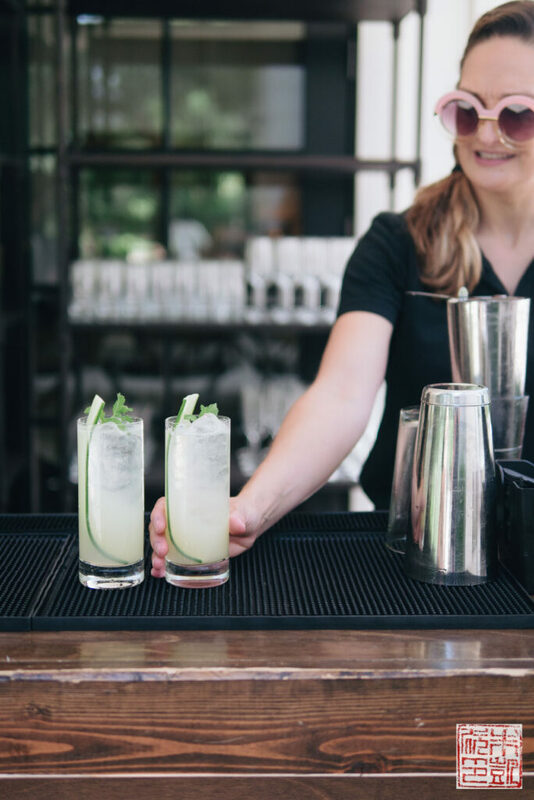 Exploring more pleasures at Summerland: the gin bar open all day long. Some ideas for your summertime refreshers. I was very partial to the White Linen. Amazing lunch spread by Nugget Markets. 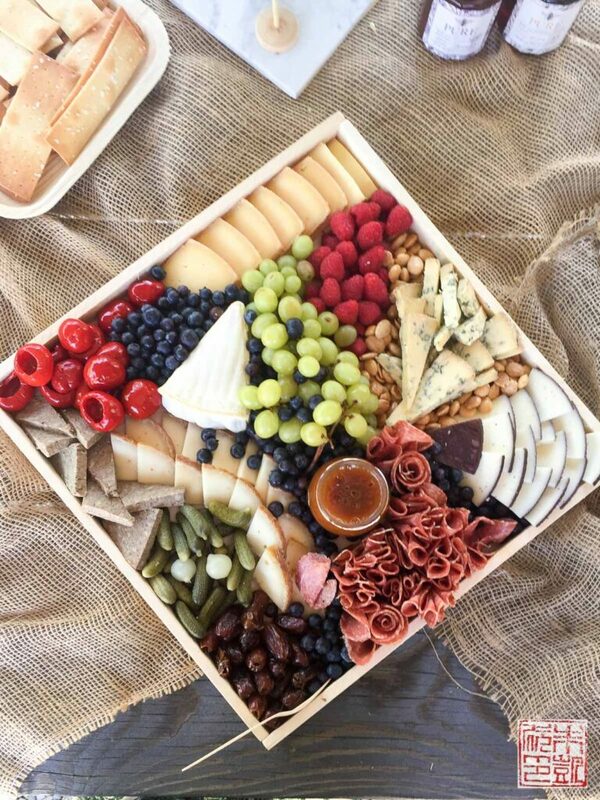 They are a Sacramento-based market chain that also provides party platters including some luscious cheeseboards, sandwich trays, and dessert platters. 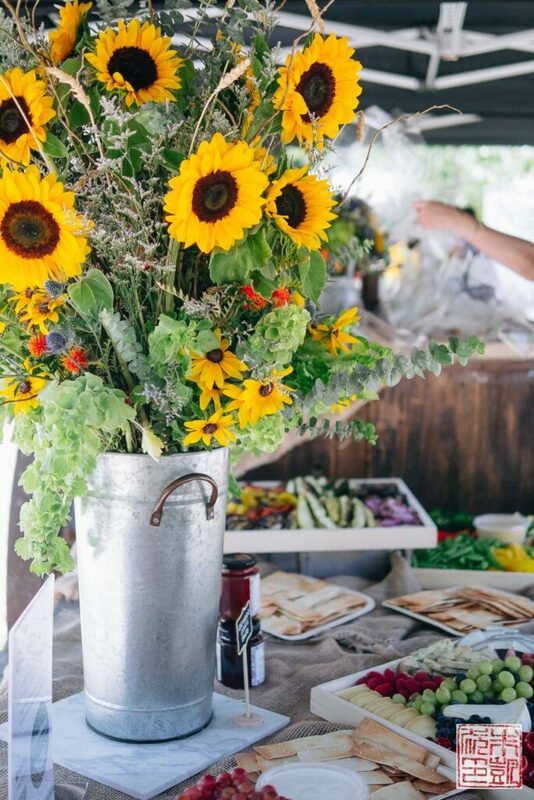 They went all out with the decorations for lunch as well – the gorgeous sunflowers echo the spectacular sunflower fields in full bloom around the property. 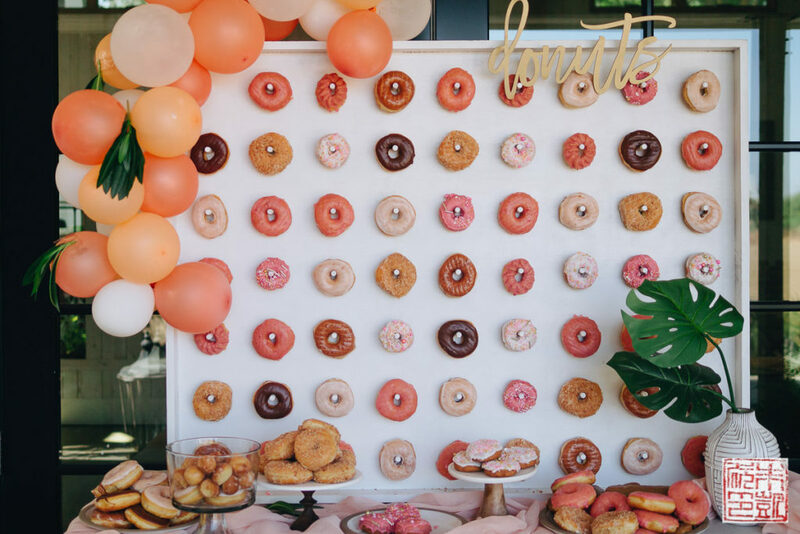 Surprises around every corner – like this delightful donut wall. The original foreman’s quarters on the property has been turned into another amazing space for photo ops. Basically you could spend all day exploring the property and keep finding new surprises. Later in the afternoon, after naps by the pool and popsicles, there was a wine tasting. 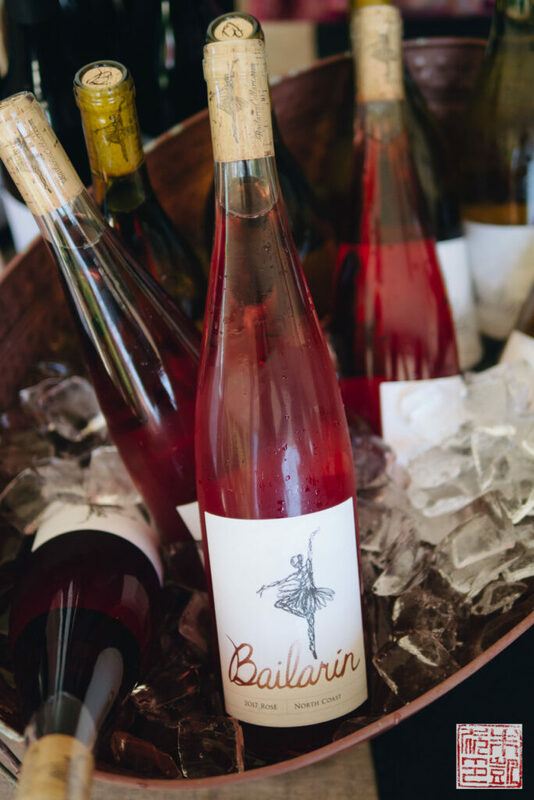 This rosé from Bailarin Cellars was a great way to slide into dinner. 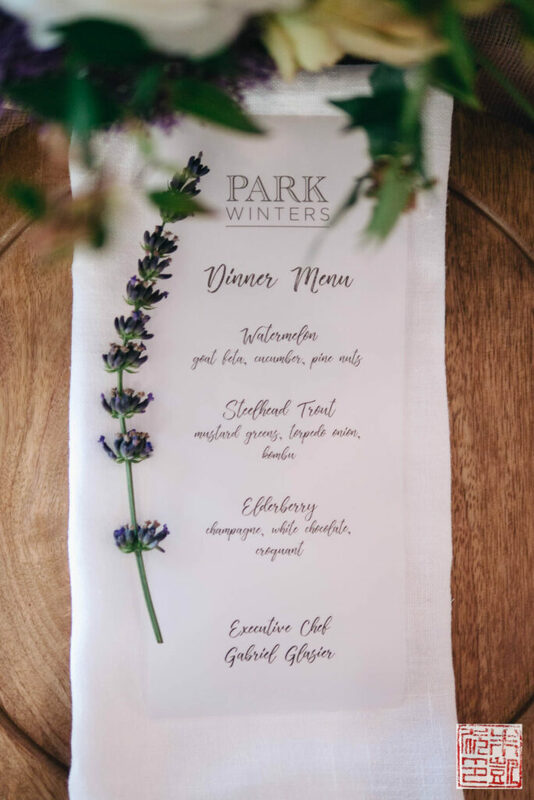 Park Winters is also famed for its farm to table dinners. You can purchase tickets separately to their dinners without staying at the property; check their website for the next date. 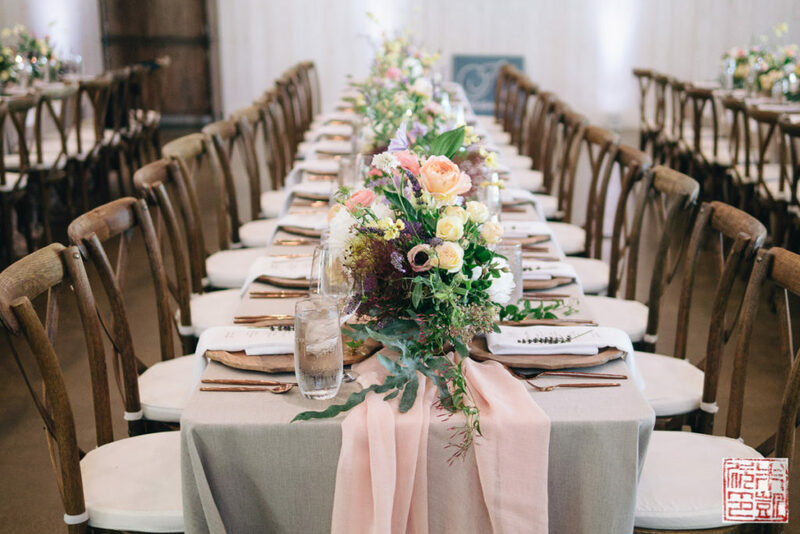 We got to experience dinner in their event barn, a soaring space used for most of their large events. The menu for the evening. After a very full day where we were constantly impressed by all that Park Winters had to offer, I was delighted to find dinner was up to the high standards they had already set. 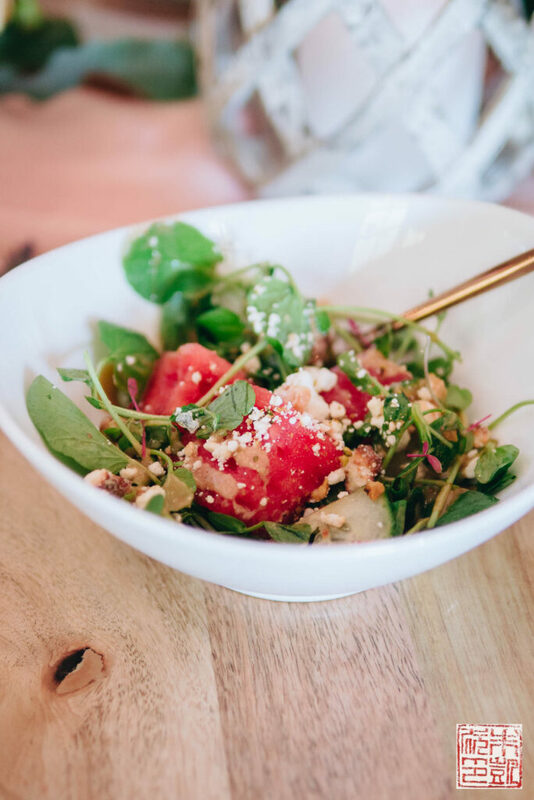 Starter of watermelon salad with feta, cucumber, and pine nuts. 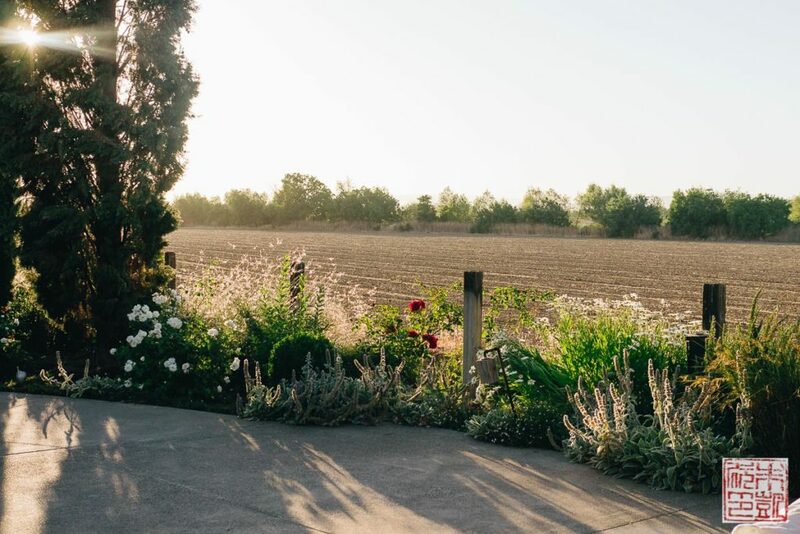 Park Winters celebrates the bounty of California by sourcing many of their ingredients from local farms and purveyors, and even from their own gardens. Their dishes are inspired by both the seasons and locality. 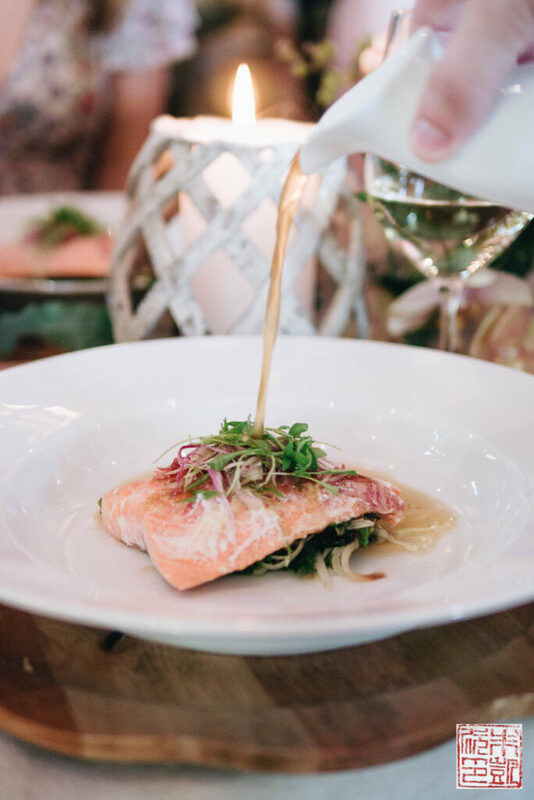 This absolutely stellar steelhead trout with mustard greens was perfectly done, and sauced with a kombu broth that gave it a hint of Japanese influence. I couldn’t finish it all and wanted to take the rest home, it was so good. 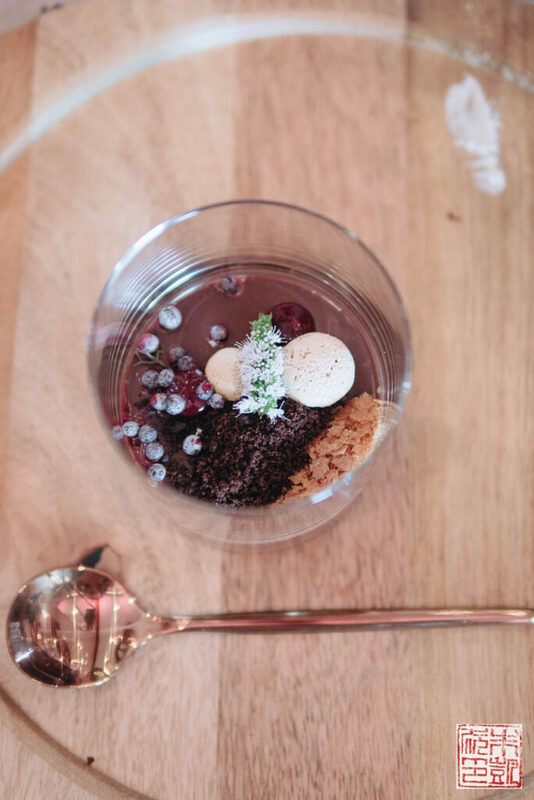 A charming dessert of chocolate, elderberry, and champagne, that captures the whimsy and charm of Park Winters. Refined elegance in the rural countryside. We finished just as sun was setting over Park Winters, giving everything that summer golden glow. 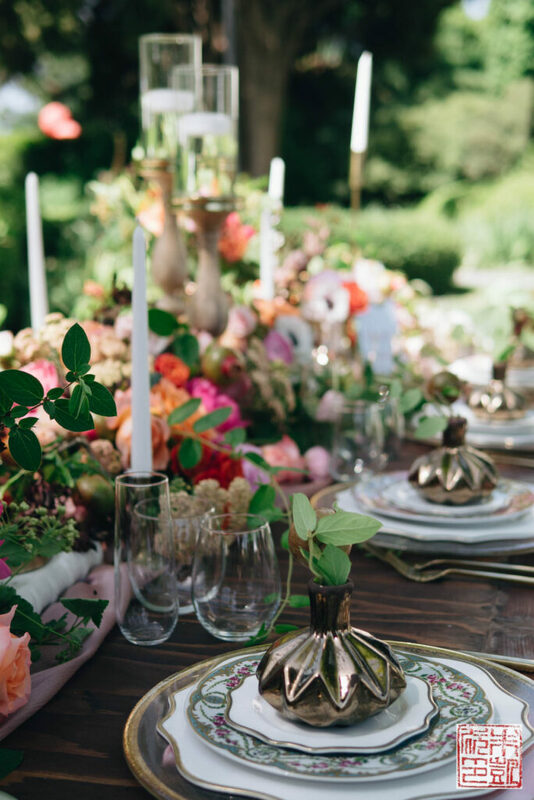 We walked outside with our wineglasses still in hand, the air still warm, and fairy lights were coming on in the gardens – the dreamiest of days spent relaxing in the country. As I said at the beginning, Summerland seemed the perfect name for this day. 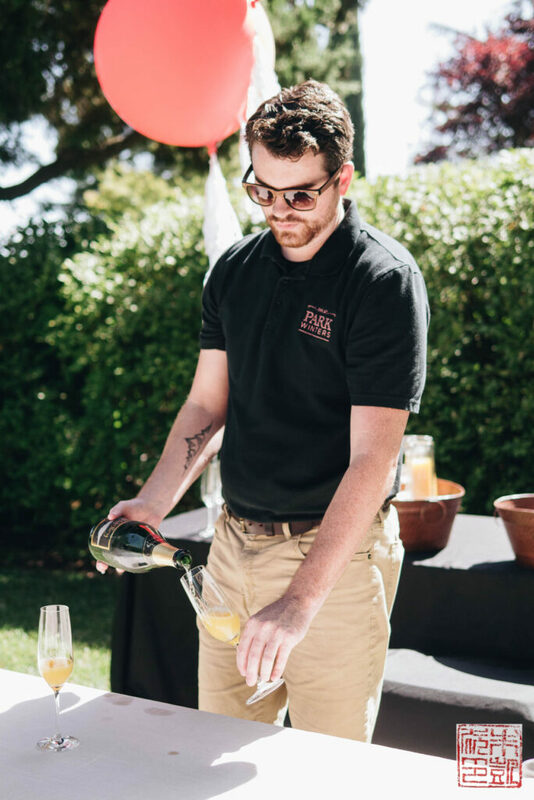 Whether you go to Park Winters for a weekend getaway, one of their farm to table dinners, or just to spend a day at the pool, there are so many different ways to visit and enjoy the property. I’d highly suggest it – your only regrets will be not having gone sooner, and having to leave.